I grew up in a small Midwestern town that was once home to a multinational steel producer, the world’s largest dress pattern maker, and hundreds of small machine shops that supplied the assembly lines of Detroit and Chicago. Sadly, those businesses are now all gone, replaced by tattoo parlors, check-cashing services…and vape shops. For those of you that don’t know, a vape shop is where you go to purchase e-cigarettes and supplies. Now, I have nothing against e-cigarettes and the businesses that sell them per se (well, maybe a little). However, nearly all e-cigarettes are manufactured in China and, due to a lack of manufacturing quality control, vapor from these products can be tainted with nickel, chromium, silicon fibers, etc. The hazards associated with China-produced e-cigarettes was recently documented in a front-page NYTimes article (you can find it here). The reason why carcinogenic vape supplies are readily available in the U.S. is largely due to lax manufacturing standards combined with insufficient audit/inspection resources. In this environment, small sub-suppliers are hugely incented to debase products (economic adulteration) – and you can see this in other examples from China, such as melamine milk and lead paint toys. This same principle applies to translation services – especially to those in specialized, technical fields like medical device translation. By using less qualified (debased) translators, suppliers lower their costs and improve margins. Similarly, cutting back on necessary QC processes has the same beneficial effect for suppliers, but increased risk and potential long-term cost for manufacturers. What’s a device maker to do? A particularly unvarnished post on the Oxebridge blog caught our attention recently. The author, feeling a bit distressed by claims that ISO 9001:2015 requires “risk management”, solicited opinions from risk management professionals – including authors of ISO 31000 (guidance on risk management). The latest version of ISO 9001 includes language related to risk management in the form of a new and rather ill-defined concept: “risk based thinking”. According to one respondent to the informal poll, “selling risk based thinking would be like selling cans of air or bottles of sound”. While the debate in the ISO 9001 community rages on (and it will), it’s important to note that Crimson is well ahead of the curve on this through certification to ISO 14971 – the risk management standard for medical device manufacturers. When you work with Crimson, you can breathe easy – that’s the sweet smell of certified, patented risk management. Could it really hurt that badly? How often will you see those two items in a single headline? I’m just pleased to have a credible excuse to share this hilarious story that appeared in the WSJ on the “World Cup of Flopping” – ranking national teams by their on-field “writhing time”. Not surprisingly, Brazil topped the list, but Chile was a close second. 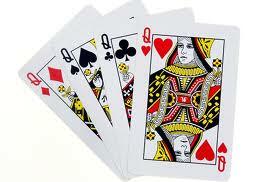 We’ll see who “out-flops” the other in today’s 12:00 match: exciting stuff. However, very shortly, it just might be U.S. medical device manufacturers who are clocking writhing time in Brazil. Word from a recent Class III client regarding unexpected ANVISA scrutiny in their registration process is definitely something to cry about: including no longer accepting Portuguese for Portugal (vs. Brazil) in labeling. Ouch! The written forms of these two languages are mutually intelligible – a Brazilian can read in Portugal and vice versa – but there are significant spelling and grammar differences – and now, evidently, this has become a point of regulatory enforcement for ANVISA…and manufacturers selling into Brazil. If you have direct experience of tightening ANVISA requirements, post and comment and let us know! – thanks. Good post on the perils of language nationalism on the EnCompass “Blood Makes Noise” blog. Moral of the story: know your market before you make your language selections. In a surprising Finnish study, a fake (placebo) surgical procedure was shown to be as good as real surgery at reducing pain associated with a torn meniscus. The full story in the WSJ is available here. Reduce risk “as low as reasonably practicable” (item #3) – since, by definition, labeling is a component of your device, it is critically important that the error risk of translated labeling is “as low as reasonably practicable”. This is where Crimson’s patented, ISO 14971-registered, risk management process can play an important role for manufacturers looking to improve the quality of translated labeling or demonstrate compliance with the requirements of the standard. Crimson is the only supplier to hold a Notified Body endorsement for audit of legacy labeling translations, we see a lot of work from other suppliers, so we know that our process reduces risk by up to four times over standard translation processes. Using warnings section as residual risk “catch all” (item #4) – a device IFU is a risk mitigation and the warnings section is generally the highest risk section of the IFU. The content that companies commit to the warnings section should be handled by a “state of the art” risk managment process. This is exactly what’s defined under Crimson’s patented labeling translation risk management process (U.S. Patent No. 8,140,322 B2). Any way you look at it, risk management is becoming more and more important for medical device manufacturers worldwide. Working with an ISO 14971-certified supplier (like Crimson) helps you to manage risk and ensure that it has been reduced “as low as reasonably practicable”. If you wonder why the medical device tax has emerged as a debt-ceiling-negotiation hot topic, take a quick read of this Washington Post Wonkblog post. At this point, the best that anyone’s hoping for from the current debt ceiling negotiations is a delay – a temporary increase in borrowing power until after the New Year when all the crazy madness starts all over again. So, even if the device tax is off the table for now, don’t count it out in the long-term. There is real bi-partisan support (how often do you see Elizabeth Warren and House Republicans aligned?) to repeal this ill-designed tax. Government Shutdown Resolved by Device Industry? We’re currently at day three of the US government shutdown – besides FDA speakers unable to address industry representatives at this week’s RAPS conference, 800,000 government workers are dealing with painful furloughs. 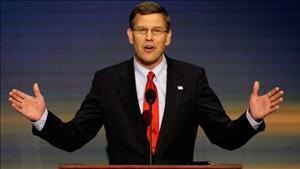 Amidst all the Republican vs. Democrat name-calling, Representative Erik Paulsen (R, Minnesota) said during an interview with a major news outlet: “The medical device tax is a linchpin” that could help save the current shutdown negotiations. The logic here is that a repeal of the device tax is small enough that it wouldn’t affect the Affordable Health Care’s overall viability, but would allow the Republicans to claim some measure of face-saving victory (personal note here – Paulsen’s collaborator on the repeal is Ron Kind, another Wisconsin rep and friend of mine from college). Fingers crossed here – while I do believe in affordable healthcare for everyone, I also happen to think that the device tax is ill-conceived. 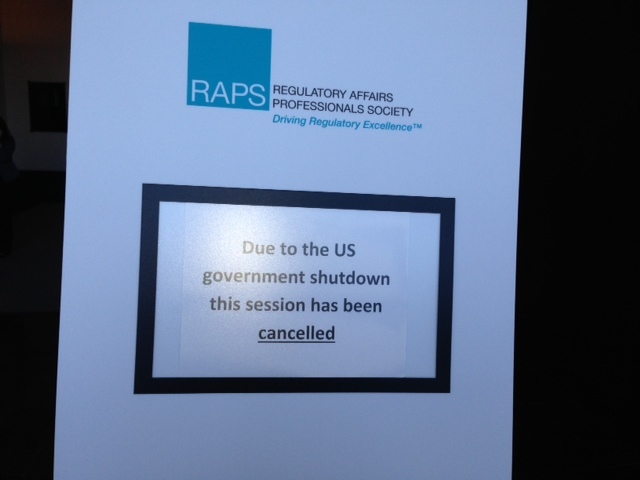 Attendees at this year’s RAPS conference were treated to cancelled meetings thanks to the government shutdown. Evidently, some FDA officials were considered “nonessential” and therefore not permitted to speak…the upcoming session with Dr. Shuren is still planned…I guess the Director *is* essential. Check back for more info from the conference over the next few days. On September 25th, a EU Parliament committee voted on proposed reforms to the device approval process – the results weren’t pretty for industry. Rather than the initial proposal to tighten control of Notified Bodies and begin unannounced facility inspections, the committee voted in favor of a centralized premarket approval process for high risk devices…similar to the U.S. system. A good overview is available at FierceMedicalDevices. Not surprisingly, industry (including AdvaMed and Eucomed) are seriously concerned about approval delays that could harm manufacturers’ competitiveness…along with the ability of the EMA to manage the effort. Stay tuned to this one – could be a significant change for EU device sales. Delegates to ISO TC 210 report that ISO 13485, the quality systems standard for medical device manufacturers, will be revised on 17 (or more) topic points. Since the decision was just taken by the technical committee, the actual revisions are a way out, but manufacturers who want to have meaningful input are advised to get involved now. Crimson was the first translation supplier to register to ISO 13485 and ISO 14971. Authors David Stuckler and Sanjay Basu say that these dire consequences are not inevitable and point to data from the U.S. in the 1930′s, Sweden, and post-Soviet Russia to show that government healthcare policies can make a positive difference. ISO 9001, ISO 13485 and ISO 14971 are conspicuously absent from the websites of two of the largest suppliers (Stratasys and 3D Systems) – if you are considering integrating these suppliers into your manufacturing process, then you’ll likely need to conduct your own audit. Smaller players are expected to have a more difficult time due to industry consolidation, with the exception of companies that enter the market with disruptive technology. Intense Regulatory Scrutiny Coming…for Printers? In this scenario, the 3-D printermaker becomes a key supplier and must be *tightly* controlled – you may want some of your regulatory staff to brush up on how to audit a computer peripheral manufacturer…. Brazil Trumps India with Device Makers? Recently, it was reported by Devices & Diagnostics Letter (FDANews) that the Medical Imaging & Technology Alliance (MITA) had re-prioritized strategic discussions with Brazilian officials over Indian officials. The change, according to Zach Helzer, the group’s International Program Director, represented a change in MITA’s international business strategy as requested by member companies. Appropriately, the actions of the Imaging Alliance bring visibility to a broader trend: given the changing regulatory and economic issues in India, including regulatory uncertainty (see “Clinical Trial Hold in India Leaves Devicemakers Unsure How to Proceed” in February, 2013, International Medical Device Regulatory Monitor) and economic slowdown (see WSJ, http://online.wsj.com/article/SB10001424127887324590904578289081283315280.html? ), Brazil may be pulling ahead of India in terms of overall attractiveness for device investment and market focus. Considering Brazil GMP inspections may take 3-4 years and market access may take up to 6 years in total, saying India is less attractive from a regulatory perspective is really saying something. This is the reason that device makers are pushing ISO 13485 as a harmonized standard for access to all countries. Crimson was the first translation company to register to ISO 13485 (and ISO 14971) – our certifications help you comply with this critical standard around the world. 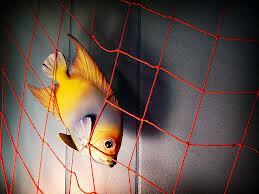 An interesting piece in today’s NYTimes (http://www.nytimes.com/2013/02/21/us/survey-finds-that-fish-are-often-not-what-label-says.html?hp&_r=0). According to a study of 12 separate US geographies by the non-profit group Oceana, as much 60% of the fish sold in sushi bars, restaurants, and grocery stores is mislabeled. Surprise, surprise, the study found a common pattern: economic gain at the customer’s expense as lower-quality fish were substituted for their more expensive namesake. Talk about “bait and switch”! This is the same counterfeiting issue that has turned up in a wide range of industries (including pharmaceuticals and medical devices) and is termed by FDA “economic adulteration”. As global economic conditions have deteriorated over the past several years, the frequency of economic adulteration has increased…along with the risks associated with it. We see a similar effect in medical device translation where qualified resources often harder to find than wild-caught salmon. Using tested, qualified resources and rigorously adhering to best practices is difficult, so many translation companies resort to lesser-qualified (or worse, unqualified) resources, abbreviated processes, or both. The results are predictable: serious translation errors that expose the manufacturer and the patient to harm. That’s why Crimson’s quality and risk management systems are registered to ISO 13485 and ISO 14971. Crimson carefully screens and tests every linguistic resource to insure quality and always follows specified processes – resulting in lower risk for manufacturers and patients alike. Fascinating story about cognitive awareness on WGBH Boston (radio) today. Seems that an attention researcher at Harvard Medical School recently completed research with radiologists; expert medical searchers with powers of observation that are described as “super human”. 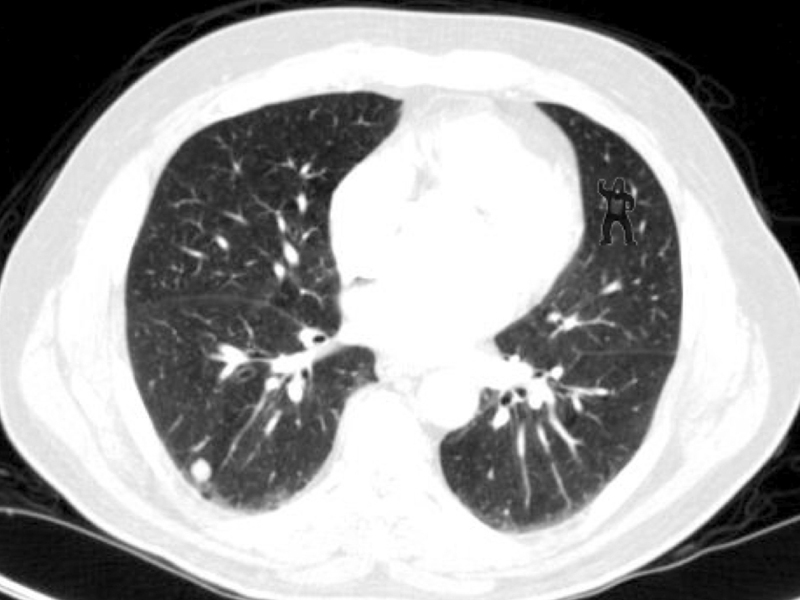 The reseach, a modification of the Invisible Gorilla Study (http://www.theinvisiblegorilla.com/videos.html) showed that 83% of the time, radiologists actually failed to see the superimposed figure of a gorilla on a diagnostic image…simply because they weren’t expecting to find it. The effect is called “inattentional blindness” (if you’re having a hard time seeing the gorilla, go to the WGBH site and view the enlarged version). This research has direct application to quality and risk management in medical device translation. Since translation/formatting QA is, essentially, a series of visual inspections, it is very analogous to radiologists’ work. Similarly, translation QA is susceptible to missing big issues through selective focus on specifics. At Crimson, we’ve documented this same effect in a number of places including, for instance, ”Hazard Pairs”: pairs of linguistic opposites (on/off, high/low, min/max) that are often mistaken for one another. Crimson’s ISO 14971-certified risk management is specifically designed to guard against inattentional blindness. In fact, our risk management methods (including classic techniques such as redundancy and diversity) have been codified in the only patent for labeling translation risk management (U.S. Patent No. 8,140,322 B2). Audits show that Crimson’s patented processes are up to 3 times more effective than standard translation processes. If translation quality is your “500 pound (invisible) gorilla”, contact Crimson – we have patented answers.